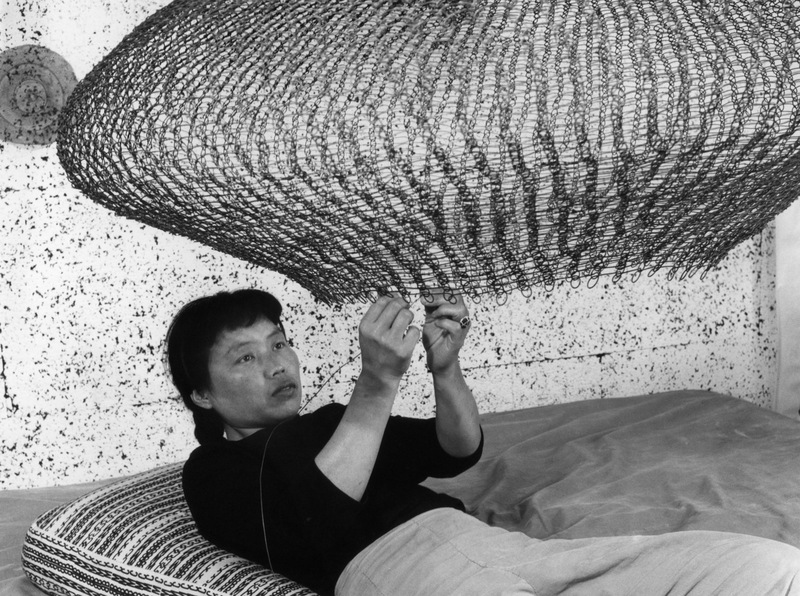 Somewhere between Louise Bourgeois's maternal minimalism and Yayoi Kusama's sui generis basket weaving to the ideas of Buckminster Fuller, Asawa conjured her own signature mix of minimalism and play. For the first time in 50 years, a major selection of Asawa's work will come to New York, in a rare solo exhibition presented by Christie's. Born in 1926 in Norwalk, California, Asawa was sent to an internment camp as a teenager along with 120,000 other Japanese-Americans. It was here that she received guidance from professional artists working in the camps, using artistic freedom as her personal rights were stripped away. Asawa remarkably harbors no ill will regarding the injustices she was forced to endure at the time: "I hold no hostilities for what happened; I blame no one," she said in a statement. "Sometimes good comes through adversity. I would not be who I am today had it not been for the Internment, and I like who I am." Asawa's works invite endless curiosity and wonder to dwell upon the simplest of contours, curves, loops and lines. Best known for her wire sculptures, Asawa brought out the natural qualities of inorganic materials, showing the life inherent in every object no matter how banal or industrial. Growing up in a Buddhist family, Asawa incorporated their ideals of transforming the everyday in her pieces. Regrettably but perhaps not surprisingly, Asawa has often been dismissed by the art establishment. She received a long-overdue first retrospective in 2006 at the De Young in San Francisco, which was a start. 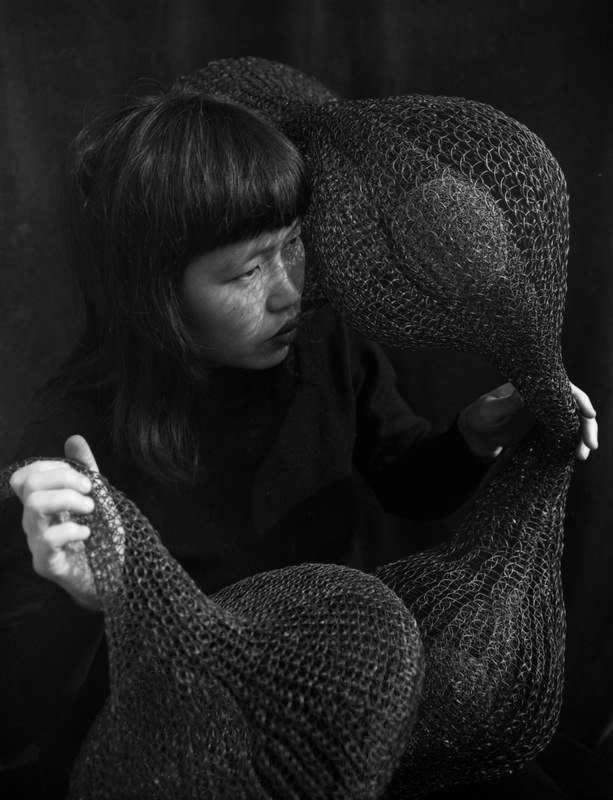 "Because her work uses nontraditional materials and a manual method that appears related to knitting, weaving and craft, it is often overlooked in discussions of modernist sculpture,” Dr. Cornell, Director of Contemporary Art Projects at the De Young, said in a statement. 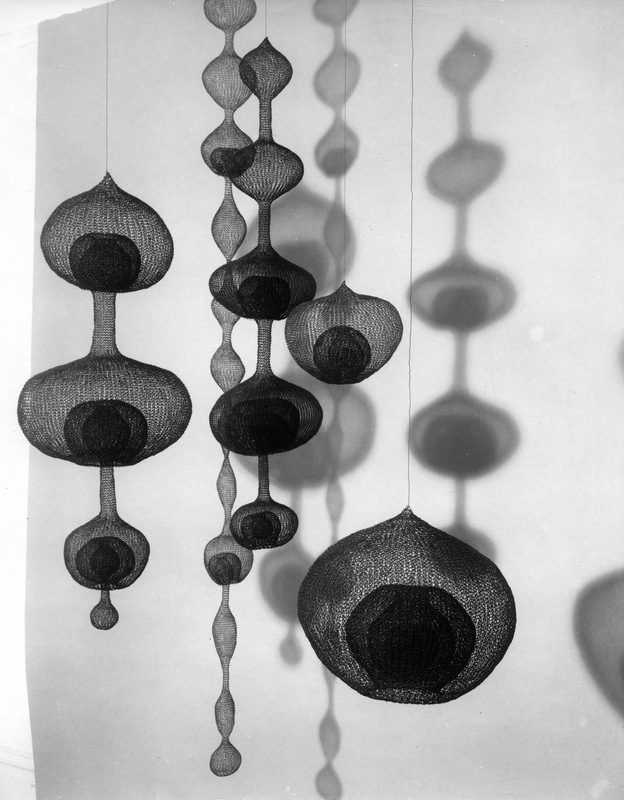 Ruth Asawa's "Objects and Apparitions" will feature approximately 50 of her drawings and sculptures. The exhibition is on view at Rockefeller Center in New York until May 31. In the meantime, check out Yayoi Kusama's retrospective and let us know what differences and similarities you see between the game-changing Japanese female artists. Correction: An earlier edition of this article stated Asawa was born in Norfolk, when in fact she was born in Norwalk. We regret the error.